Depending on what you have with you, starting a fire outdoors can be either a very time-consuming process or something you do with no hassle. Soto Pocket Torch is designed to make every fire starting experience easy, at least much easier than you’re usually used to. First of all, Soto Pocket Torch is very small and lightweight. With just 1.8 ounces, it’a no hassle carrying it. You can place it anywhere in your backpack and you won’t even realize it’s there. Another great thing about it is that you can use a disposable lighter you have with you. Just take the Pocket Torch and insert it on the top of the lighter. 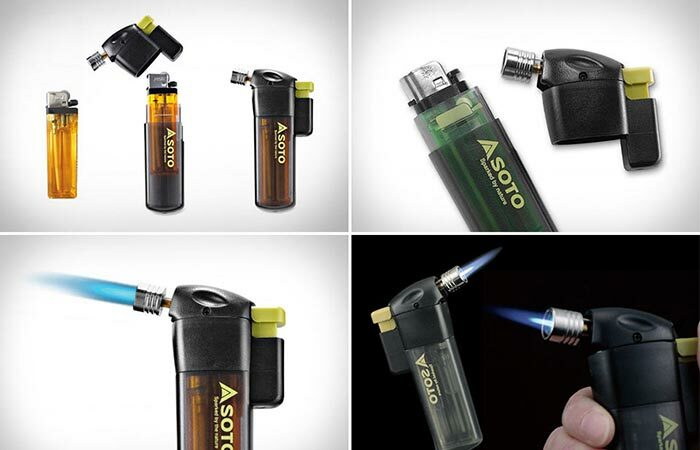 Soto Pocket Torch uses a regular disposable lighter to make a strong and more durable flame. 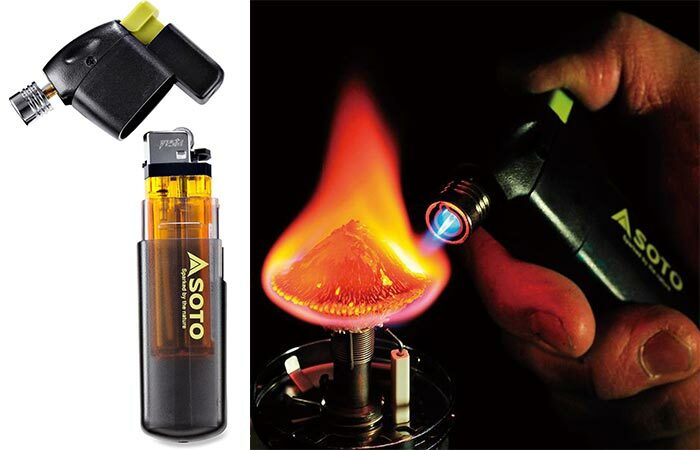 What Soto Pocket Torch does is makes the flame much stronger, up to 2,300 degrees Fahrenheit. Also, it will increase the life of the lighter for up to 60%, which is very impressive. The flame you get will last longer (up to 20 minutes of burn time), it will be strong and the best thing, it’s wind resistant. This way, you won’t get frustrated if you’re trying to light a fire and the wind is in your way. Also, besides for starting a fire, you can use Soto Pocket Torch to cut ropes or light stoves. The dimensions are 4.3 x 2.4 x 0.9 inches. With Soto Pocket Torch, the flame can get to up to 2,300 degrees Fahrenheit and last up to 20 minutes.